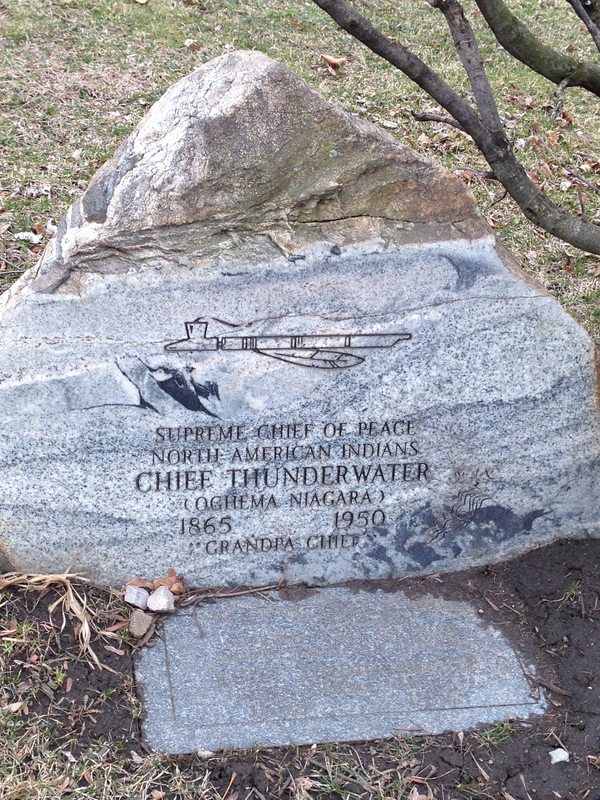 Resting in the Erie Street Cemetery (2291 E. 9th Street) is Chief Thunderwater. He was a Niagara Indian born in 1865. He toured North America and Europe with Buffalo Bill’s Wild West Show and worked hard to improve relations between Indians and white people. 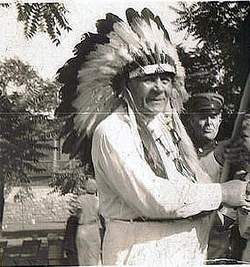 When he died in 1950 he was a local celebrity in Cleveland and was referred to as “the original Cleveland Indian”. 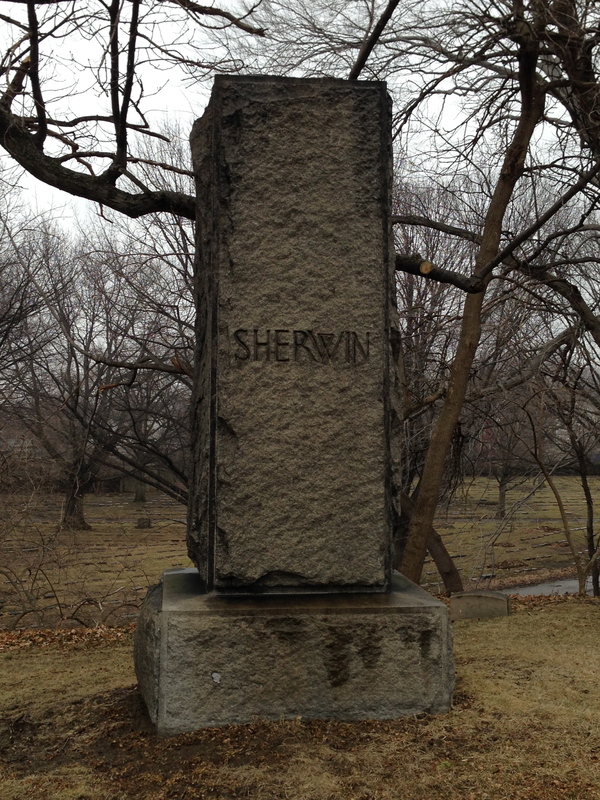 He is buried directly across the street from Progressive Field, home of the Cleveland Indians. 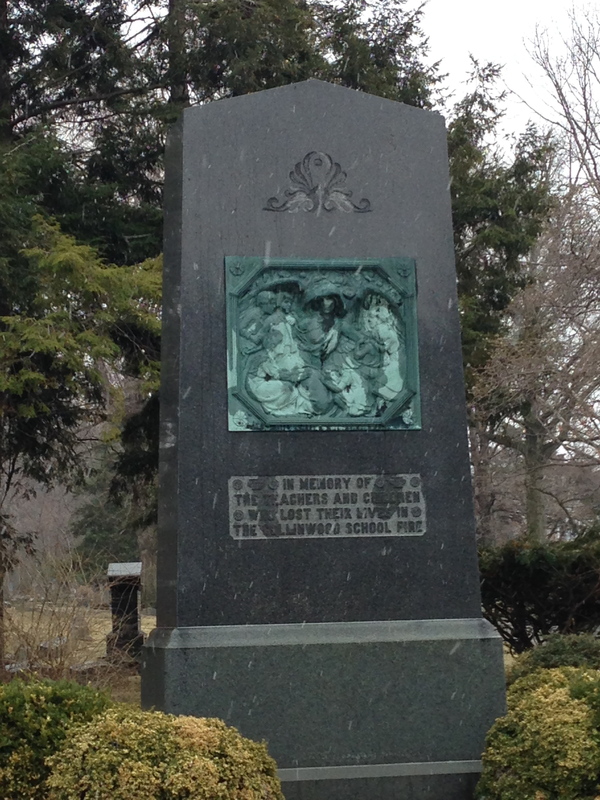 This is the memorial to the 172 children and two teachers who died in The Collinwood School fire in 1908. An overheated steam pipe ignited wooden joists and only 194 of the 366 students got out. 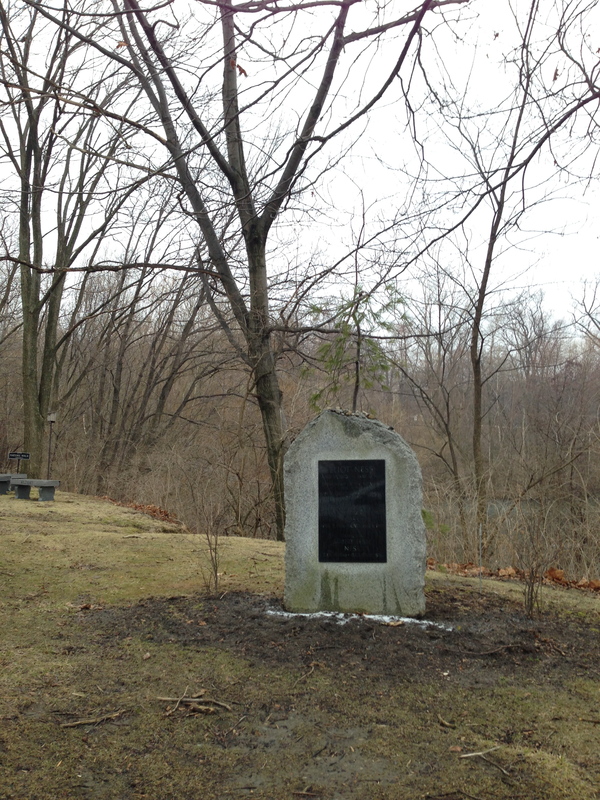 Nineteen bodies were not able to be identified and are buried in a common grave here, along with 150 other students. 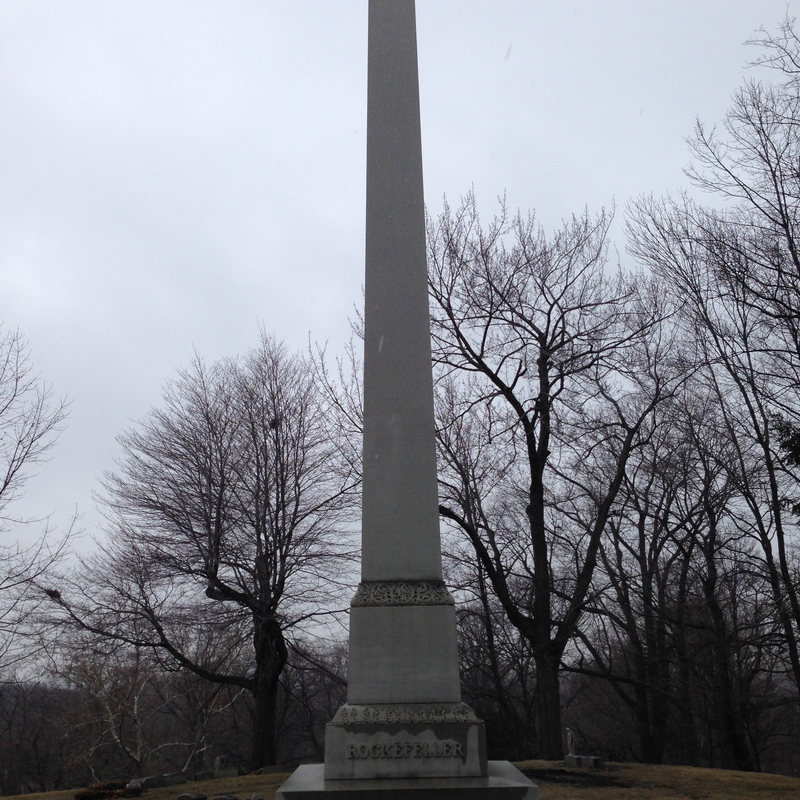 This memorial is in Section 25 of Lake View cemetery. 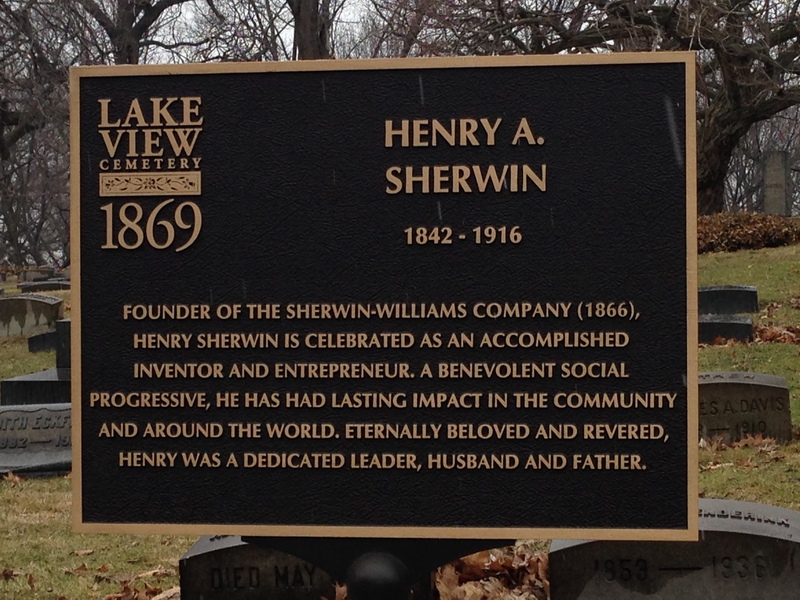 Henry Sherwin – He is Sherwin of Sherwin-Williams paint company. He is resting in Section 1. 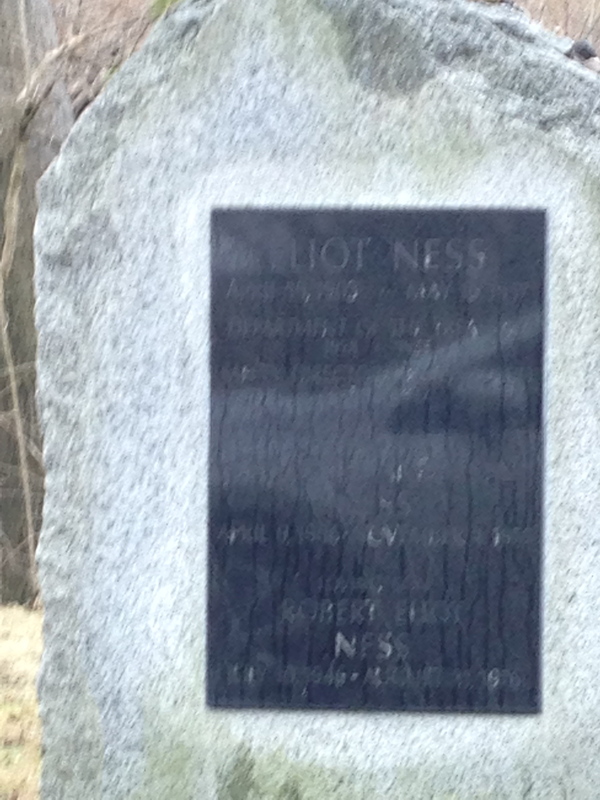 Elliott Ness, FBI officer who brought gangster Al Capone to justice. He and his family are in Section 7 at the edge of Dempsy Pond. 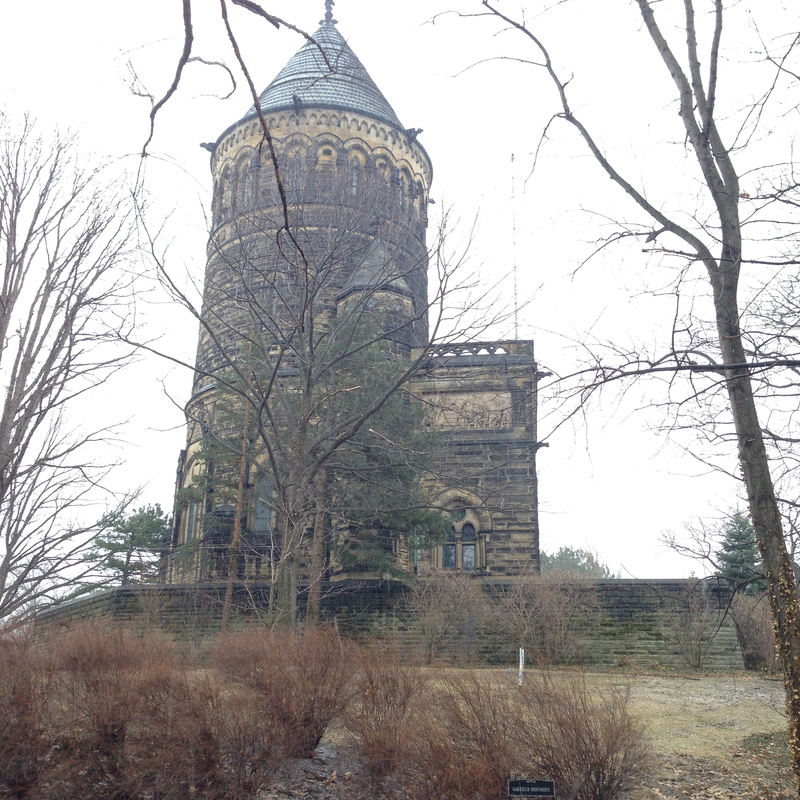 We drove past the Presidential resting place of President James Garfield, the 20th President of the United States. You can read more about this in the link above. 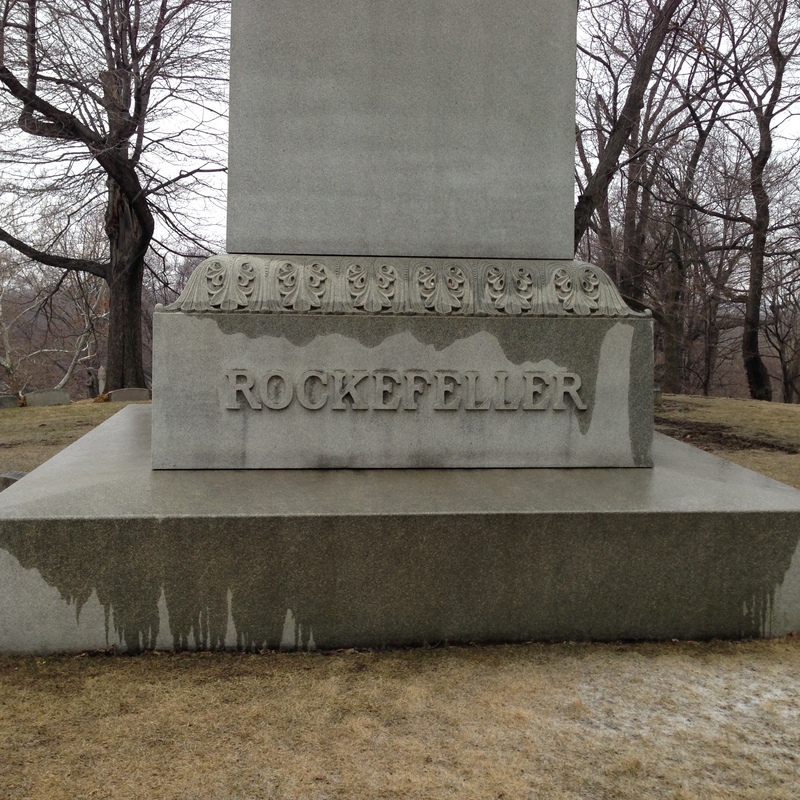 Our final stop was a return visit to John Rockefeller. 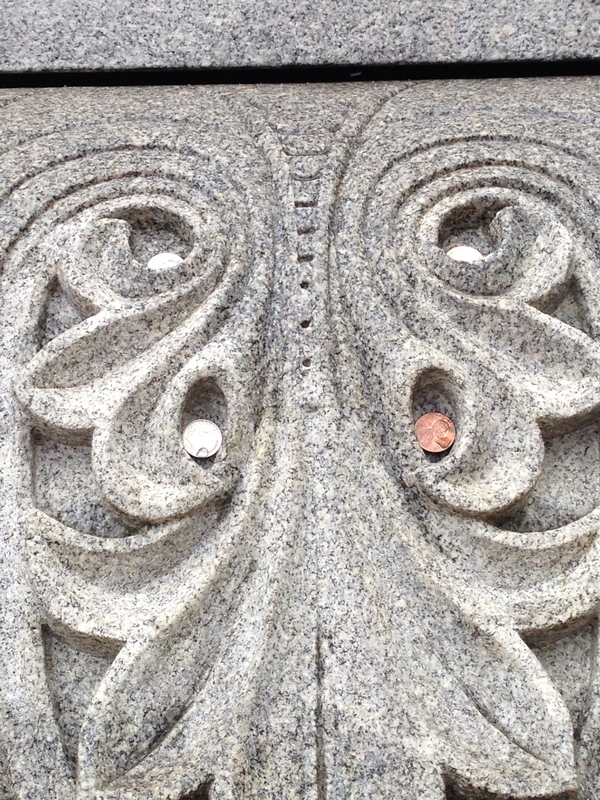 It is said that if you leave money at his grave, he will use his wisdom to help increase your wealth. There is change all over his resting place. Including ours.